The Urban Road Warrior Emergency Kit provides essential supplies for most emergency situations you may encounter when traveling. Weather related delays, breakdowns or accidents can leave you stranded on the highway, miles from home or help. 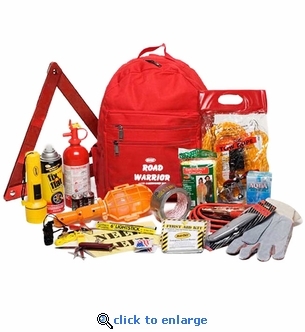 Being prepared with the Urban Road Warrior kit can keep you safe and get you back on the road. All items are packed in a heavy-duty backpack that's easy to store in your car or trunk.